I am the kind of person who is very fond of luxury furniture. I have spent a huge portion on my finances on the furnishing of my house, and especially on the furniture items. I always used to buy the most expensive ones because I am pretty fanatic in the matter of quality. But since I have learnt recycling pallet wood or repurposing the wooden pallet, my life is totally transformed. Its just like a think done situation. I just plan some splendid furniture ideas, work on their feasibility and just make them with old pallet wood. 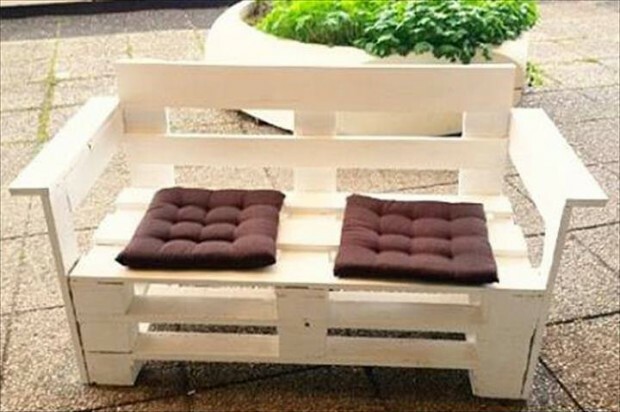 Here is a fine example of a wooden pallet upcycled furniture which is perfect to be placed in your wide spacious patio. Look at its style and design, this is wide, this is heighted, and it is brightly stained, well sanded and well polished. As it is going to be placed in the patio where it would also be having ample sun light, so its all features would be exposed. So it is recycled in the best possible manner. Plus equipped with brown studded slim cushions which are adding a lot to the comfort and luxury of the furniture. Have a critical look at the rest of the articles. The same wide structure and brightly stained. Same studded slim brown cushion is used even in the single seated piece. While a tiny table which is pretty low in the height is also repurposed very nicely. As the texture seems to be pretty smooth so it is obvious that enough of sanding and texturing is done. 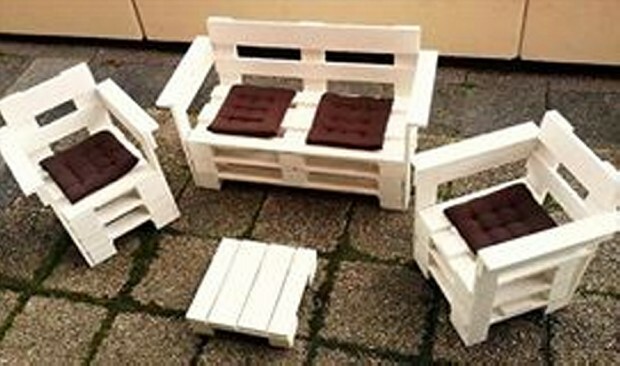 And all due care has been taken while making this wooden pallet furniture set. 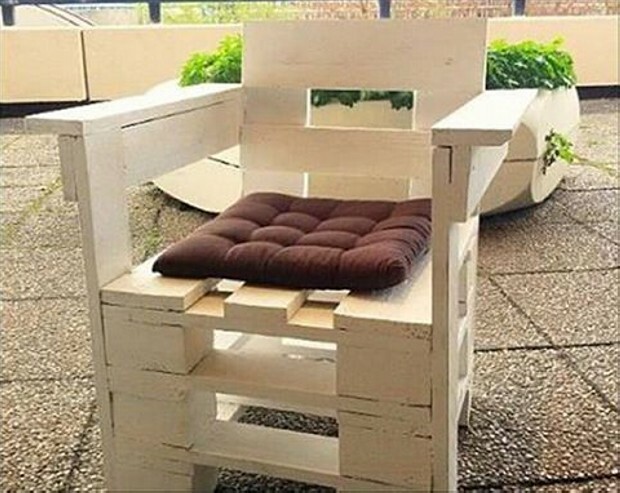 This pallet repurposed furniture set is pretty appropriate in every perspective to be placed in your patio, all the features are designed accordingly.